Facing heavy criticism for plans to honor a Vietnam veteran who previously served on the board of The Second Mile, Penn State has rescinded its offer to Bruce Heim. The local businessman, who is a 74-year-old Bronze Star recipient and Penn State alumnus, was supposed to be honored at Saturday's coin toss as part of Military Appreciation Day at Beaver Stadium before the Nittany Lions face Army. 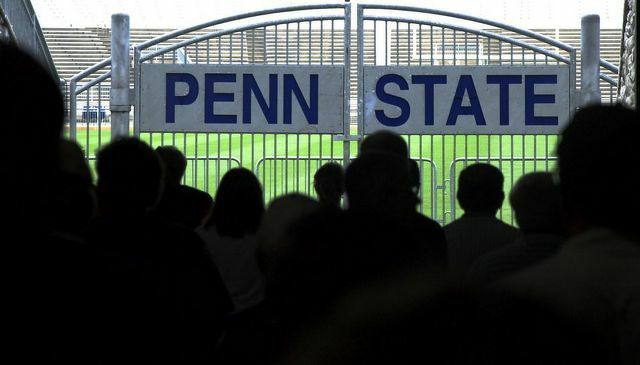 Heim was a major donor and vice chair of Jerry Sandusky's charity, The Second Mile, and his involvement in the charity led to some controversy ahead of Saturday's pre-game ceremony. President Eric Barron released a statement explaining that the offer was rescinded because it was distracting from the primary purpose of Military Appreciation Day. "Unfortunately, his participation in Saturday's coin toss ceremony has re-opened deep wounds in our community that do not involve his service to our country, but have distracted the public from the purpose of the day," Barron said. "We therefore regret that we must rescind the invitation to Mr. Heim to participate in the coin toss. We hope the sole focus of the day remains honoring all the dedicated men and women who serve our nation." Heim released a statement of his own in response to the decision by Penn State. He said that he feels his integrity was attacked and regrets that that it came down to his removal from the ceremony. "I find it regrettable that an uninformed few who attacked my personal and professional integrity because of my role as Vice Chair of the Board of the Second Mile have successfully dishonored what I was asked by Penn State to represent; military veterans," Heim said. "This runs counter to the basic tenets of our freedom which military personnel fight to defend." He added that there has been an extensive and thorough investigation of The Second Mile by five regulatory groups, both state and federal, that never brought any charges against Heim or other charity employees. "We did not know and were not complicit," he said. Heim added that he strongly disagrees with the decision made by Barron and the university. 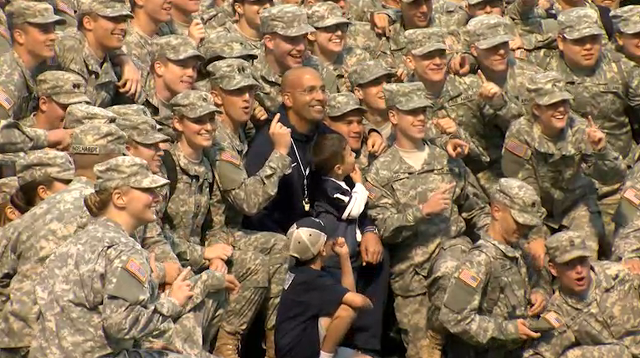 "As someone who has served the military and university with pride, I strongly disagree with Penn State’s decision. I was proud to join others represented at the coin toss and to pay tribute to fellow West Point graduates and Vietnam veterans who have served their country," he said. "I am disappointed by this decision but more so by the process. However, the University and I agree on one important thing: tomorrow’s activities are all about the men and women who honor our nation with their service." This video is produced by and for the Centre County Report and is shared through a partnership with StateCollege.com.